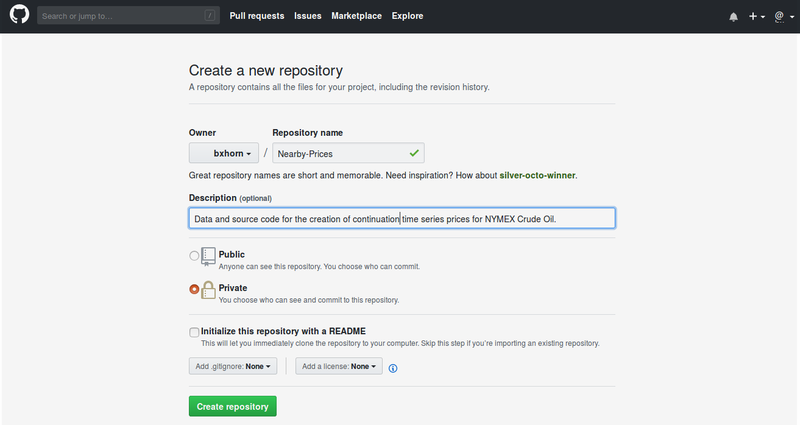 GitHub is a web-based hosting service for file archiving and version control. Github uses the locally installed software tool Git. Data science projects use Git and GitHub to provide access and control of project data, source code and narrative text files. In practice, RStudio provides Git. Professionalism: Adopt work flow tools used in many development environments. Go to https://github.com. GitHub offers at no cost an unlimited number of public repositories that have limited features and allow up to 3 collaborators. Public repos are searchable. Anybody can view and download project contents. GitHub members can set up 3 private repos at no cost. A personal plan with unlimited private repos costs $7 / month. Current plans, plan options and pricing are detailed here. An excellent resource for learning more about Git and how to use it is the Pro Git online book. Another good resource for learning about git is the Git Bootcamp provided by GitHub. 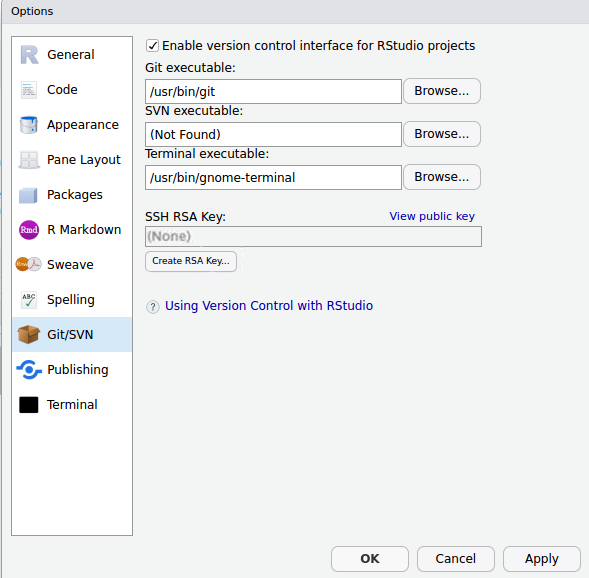 Next, go to RStudio menu Tools > Global Options > Git/SVN. 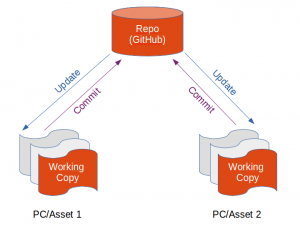 Ensure the path to the Git executable is correct and update as needed. 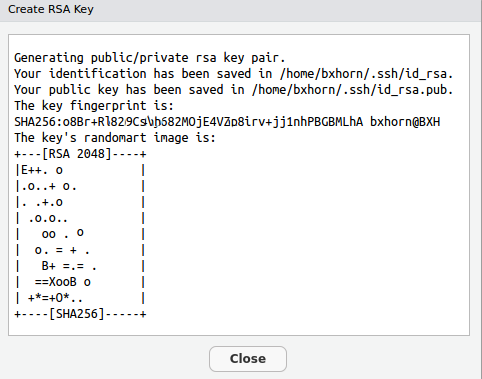 Next, hit Create RSA Key for SSH to ensure secure communications between computers. Close this window. Click on View Public Key. Copy the window contents. Now, open GitHub, log-in, go to settings and then select SSH Keys. Click Add SSH Key. Paste into GitHub the public key you have copied from RStudio. git config --global user.email "your.email@service.com"
git config --global user.name "your.GitHub.UserName"
The link is now in place between RStudio, Git and GitHub. As a result, the project is ready for implementation. In RStudio, go to File > New Project as normal. Click New Directory. 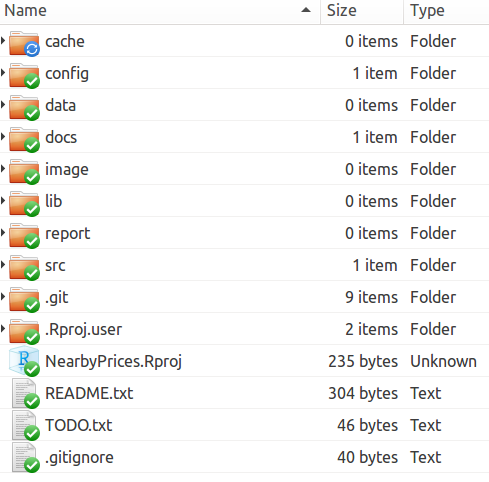 Git has identified all the files and directories (e.g. config, docs, src) with files to be committed to Git’s local repository on the local workstation. 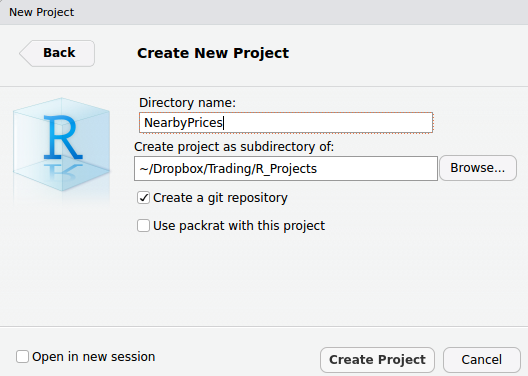 In the Staged column, click the files and directories to be committed locally. The status should turn to a green ‘A’. Do not select the option to create a README.md file. The project directory already has a README file on the local machine. The general format of the URL above is https://github.com/<user.name>/<repo.name>. Meanwhile, note the -u option on the push command. 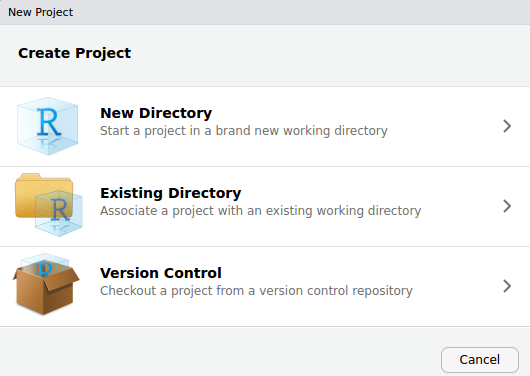 The option adds the “upstream” master branch for the GitHub repo to the git config file (see git config –list). The result is to link the local repo and master branch. The new config setting will now activate RStudio’s green push and blue pull buttons for easier synching. Go to the browser with the GitHub repo. Hit Refresh to confirm that the local repo files were pushed to GitHub. All the project files should be visible and committed on GitHub. Easy! The collaborator role is quick to establish. In fact, authors can establish things just as quick if they begin by establishing the GitHub repo first (not after the R project is created). The big advantage to the “GitHub first, then RStudio” workflow is simple: the remote GitHub repo is added as a remote for your local repo and your local master branch is now tracking the master branch on GitHub. 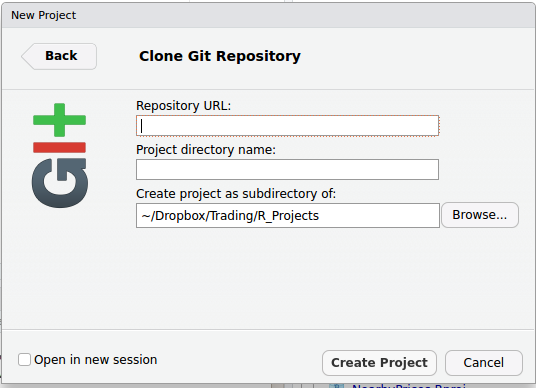 Project files are easy to control with the local and GitHub repos linked. Above all, do work and commit changes frequently to the local repo. Push the changes to GitHub repo less frequently. If a collaborator has updated work recently, start a work session by pulling the latest file updates into the local repo. Then, make changes as needed, and commit them to the local repo frequently. As needed, push updated files back to Github. In summary, do work, commit frequently, and pull or push to the cloud as needed. And then, repeat, repeat, repeat. 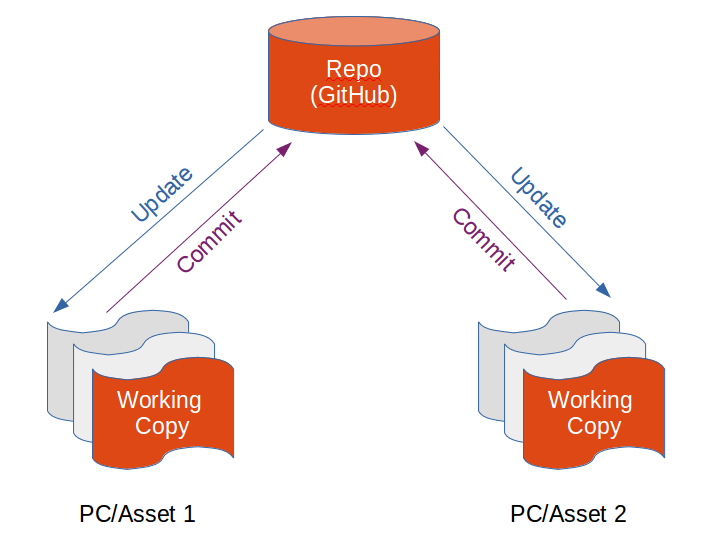 A more detailed Git discussion – including command references, work-flow forking, branch management and trouble-shooting – can be found here.